Capacity is a state of mind. 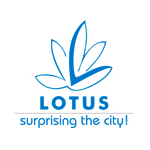 On the day the idea of Lotus Group was born, we chose to relentlessly pursue exponential growth. Every step surpassing the past. Not choosing to stop. This created the fabric of our company. Short span of years we have undertaken and are in the process of completion of multiple projects. As we unveil project after project, as we take on challenge after challenge, our capacity to accomplish more has progressively increased. Our workforce, our infrastructure and our strengths have increased too. But importantly, our collective state of mind has helped us to surpass our collective capacities. Be it Residential Projects, Commercial Projects, IT Parks or Shopping Malls, each category of projects adds rich and diverse variety to our portfolio. And importantly, extraordinary value to the locations they are built on. More projects, more opportunities continue to come. Not only in construction, but also in manufacturing, retail, import and export. Most importantly, we face the responsibility of living upto and honouring the expectation of everyone who invests their belief in us. After all, it is because of your belief, because of you, that we exist. And continue to surprise the city.